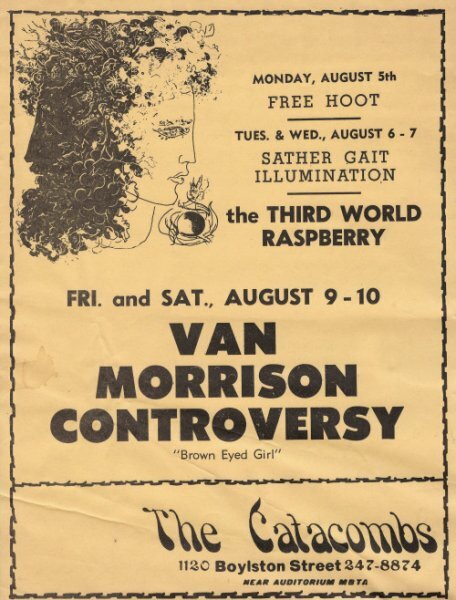 During the summer of 1968 I played drums with Van Morrison when he first played in the Catacombs. It was located on 1120 Boylston Street just down the street from Berklee at the time, where I was going to school. Unlike the other clubs we played that summer, like the Boston Tea Party and the Supermarket, the Catacombs was a small, venue nightclub, a coffeehouse, where people sat at tables and sipped hot drinks. It had only been open about a year and was in the sub-basement of the building. You entered through a small door on the street, which was usually open. I remember feeling bad for the road crew who had to carry our equipment down two flights of stairs. It was a dark room, with white lights strung along the shadowy walls like stars. Small tables were scatted around the floor. All of them were taken tonight because Van was playing. It was our first time performing there, and we were looking forward to it. We were an all-electric band used to filling large, noisy rooms and parks, playing at top decibel. The Catacombs was a nice change of pace, a chance to showcase Van’s repertoire in a cozy setting, up close and personal like. It had a nice, intimate atmosphere. 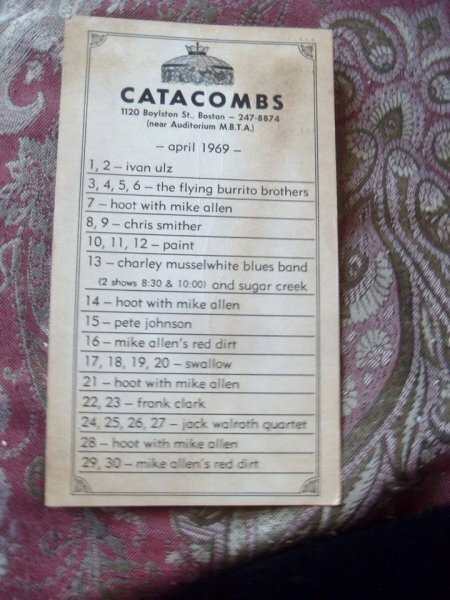 The Catacombs was a kind of breakout-club where local bands would come to hone their sound and attract attention. 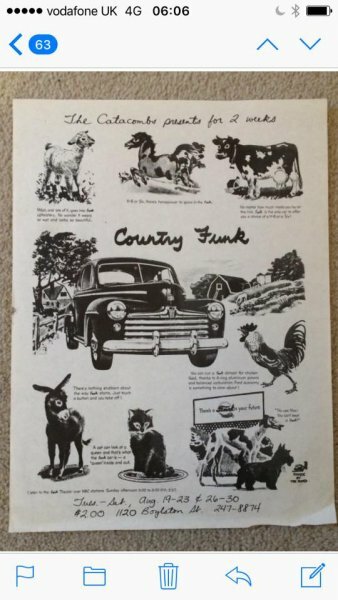 Bands like Orphan and J. Geils got started there, and Van would end up playing there several more times that summer. There was only three of us and Van, and we had minimal equipment – two amps for the guitar and bass, and my drums. We were also using Van’s PA that night. The small stage was on a low rise stuck in the corner. It was just big enough for the band, the PA, and Van. We had been working in the top clubs in town, where some of the hottest groups on the scene had played. The Catacombs was no different. People like Richie Haven and Tom Rush played there, as well as Blues Project. The famous jam session with the Doors and Universal Underpass took place there. Local celebrities, like Peter Wolf from the J. Geils band, were in the audience that night. There was an old tapestry behind the stage, and a small dressing room behind the curtain. Van sequestered himself back there just before the set to get ready for the gig. Behind the tapestry was where the real catacombs were, tunnels, passages, and underpasses weaving beneath the building. One supposedly went to the Music Hall, but I didn’t go back there. I was too interested in the BU girls who waited the tables. They turned down the lights and shined a couple spot lights on us, and the show began. We ended up doing a nice jazzy, acoustical set. Tom Kiebania, the bass player, was having trouble with his electric bass and amp that night, and ended up playing his upright. John Payne, also from Berklee, sat in on flute. We played a cool version of “Domino” and a nice song called “Lorna”, to name a few, and of course “Brown Eyed Girl”. It was probably one of the most enjoyable gigs I did with Van all that summer. 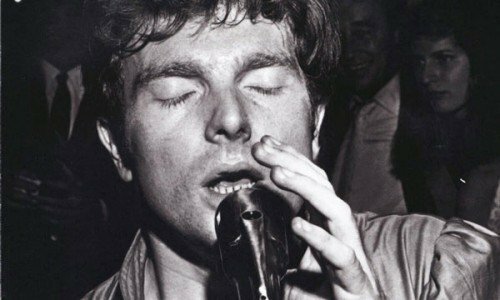 Who knows, maybe that acoustical session had something to do with Van’s next album, Astral Weeks.